This entry was posted on December 4, 2014 by Jessica Anderson. I recently went out to dinner with my mom's group and we were discussing my blog. My good friend Khanh reads it often and she complimented me on my posts (thanks Khanh!). The topic of "my favorite trophies of all time" came up during the discussion, and we all had a good laugh over #7 (see below). Khanh suggested I write a post about it. This conversation got me thinking about all the wonderful awards we create for many, many people. Some trophies are really funny, some are touching, some are inspiring, some are sad. But what is great about the work we do is that behind every award we make, is a story. I'd like to share a few of my favorites with you. Custom Acrylic awards for the Pulse Awards in Hawaii. 1. 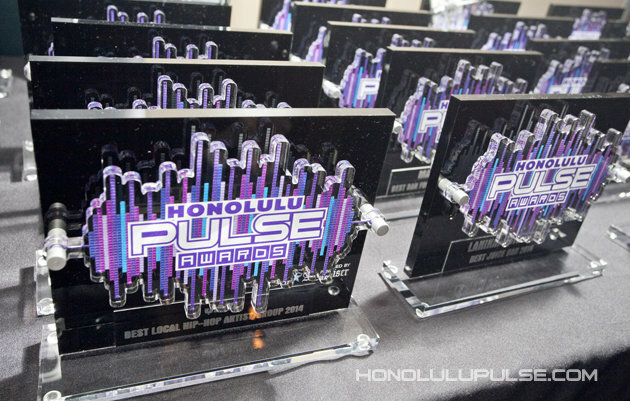 Coolest Trophy - We recently made custom "Logocut" awards for the Honolulu Pulse Awards. They recognized the best of Hawaii's scene and were the hippest awards around! This doggie-sized medal is awarded to the fastest hot dog at the Star 101.5 Wiener Dog races. 2. Cutest Trophy - That's a tie; I have two favorites. 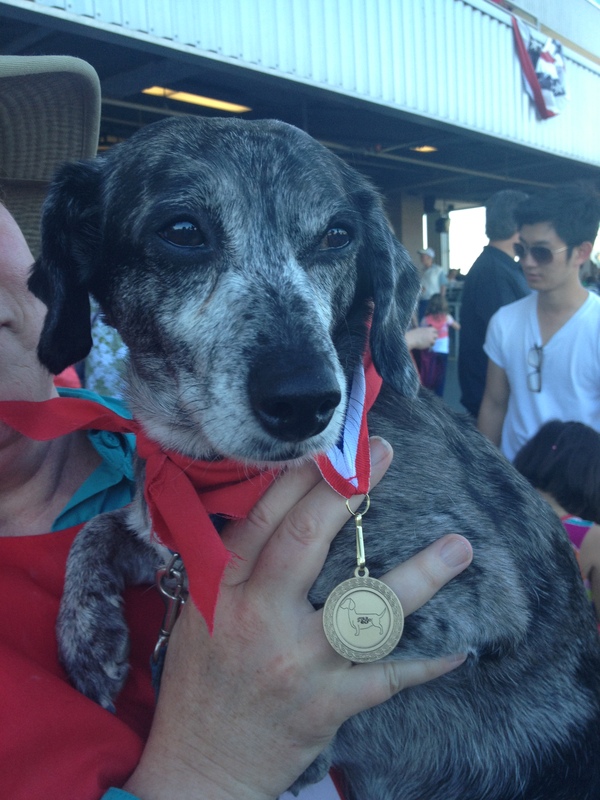 My first pick is the "Flying Wiener" at the Kent and Allen Star 101.5 Wiener dog races. The epic super-sized post trophy and little doggie sized medals go to the fastest dachshund at the race. My second pick is our own Honey Badger Trophy. Exclusive to Trophies2Go, you won't find this nasty critter anywhere else! This beautiful plaque was a treasured gift to wife Annie! 3. 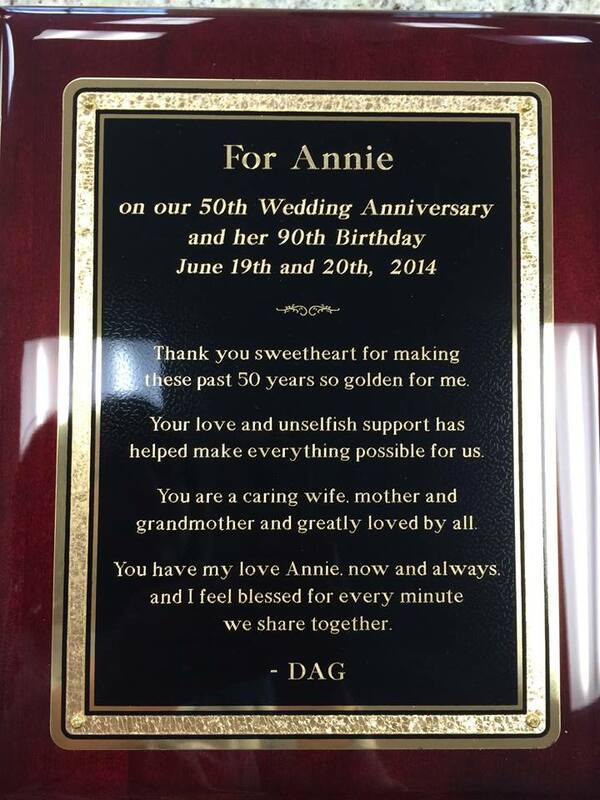 Most Touching - A longtime customer Dag created a beautiful plaque for his loving wife Annie celebrating their 50th wedding anniversary and Annie's 90th birthday. It brought tears to my eyes when I read it. What a touching gift! 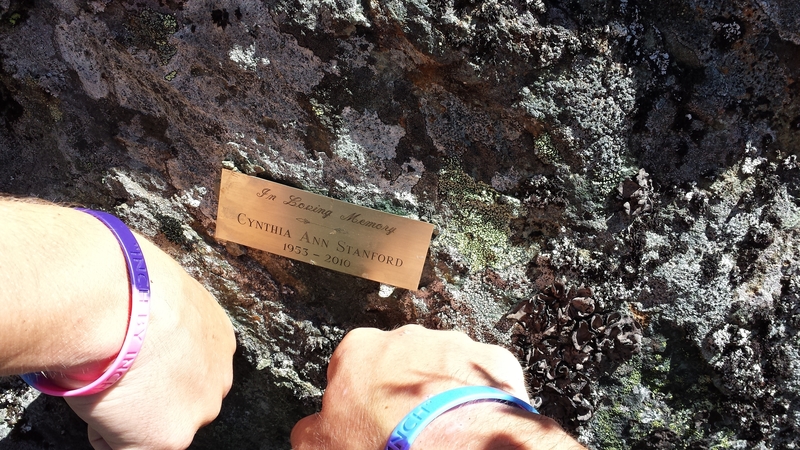 This lasting tribute to a special mom, Cynthia Stanford. We were honored to create a small plate in her memory. 4. Saddest Trophy - We create many memorial plates and engraved urns for people who have passed away. It's always heartbreaking to serve customers in grief, but I'm glad that we can help in a small way to remember those who are no longer with us. For example, these brothers CJ and Beau created a beautiful tribute to their mother, Cynthia Stanford, in a special place she frequented. Having lost both of my parents, I understand the emotion around this, and it's an honor to do this kind of work. 5. 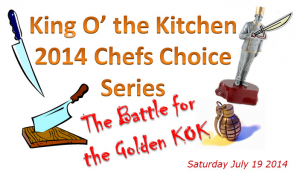 Best Name - Customer Dale created "King O The Kitchen" (aka KOK) for his annual cooking contest - read about it here. 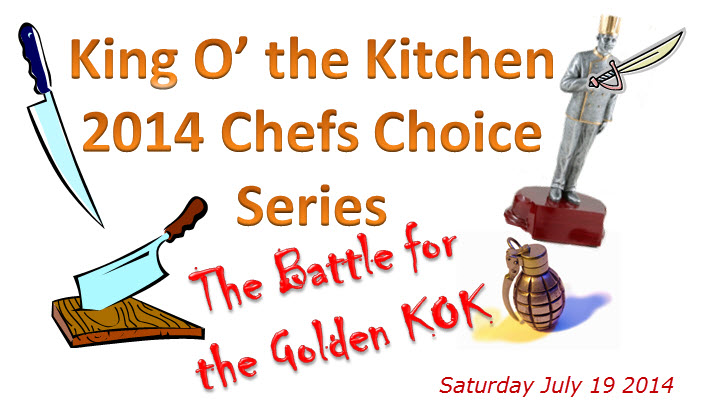 I loved the name so much I renamed the our resin chef after his event! 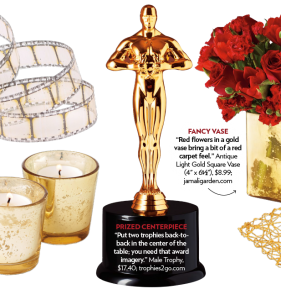 Our achievement trophy in People Magazine! 6. Most Famous Trophy - Last February our Male Achievement Trophy was featured in "Oscar Party Picks" in People Magazine! What a thrill! 7. My All-Time Favorite Trophy: Sorry I don't have a picture, as this is from many years ago, I think even before we had our girls. There was an Oscar Male Achievement Trophy that came through our production with engraving "Best Boss in Bed - 2nd Place". Think about it. Our customers are so creative and it's a real pleasure to help with a small part of the story of awards. We are here for the life's biggest achievements and milestones and it's an honor! If you have a story about the award you've received from us, I'd love to hear it and share it with our community. Feel free to post it on our Facebook Page, Twitter, or Instagram. Use #Trophies2Go on your post. Or email it to me directly at [email protected] Send me pictures of your awards too - a picture is worth 1000 words - and your trophy could be in my next favorites list!